You might be a Vainglory fanatic but chances are you didn’t know that it will be officially released on the 2nd of July, 2015. So what does this mean for all of us gamers? Will our accounts be reset? What changes will be introduced? Let’s get started. 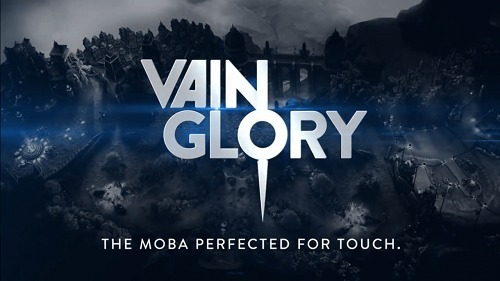 Vainglory [Free] is a MOBA game that debuted during the iPhone 6 release at the 2014 Apple Event. Since then, Super Evil Megacorp soft-launched the game to select countries on IOS and called it an ”early version” rather than a beta. This official release will make it completely official on both, IOS and Android. So the game will be playable on more than 150 Android devices once it is updated on the 2nd of July; It is already available for iPad 2 and above. The update will fully support an online cross-platform experience between IOS and Android, which is now available on a minor scale. And do not worry, your accounts will not be reset! If you think this is all there is for this update, know that we didn’t even scratch the surface.There are many new features coming as well: ranked and casual queues, novel skin system, a new hero (Rona the berserker), and longer tutorial videos. First, we applaud the developers for introducing ranked and casual queues because this allows new players (noobs) to play custom matches simply for fun. The competitive among us who want to put their skills to the test can participate in the ranked matches. Also, you won’t have to ignore your newbie friends anymore, you can play with them without worrying about your skill-tier prestige. Second, the novel skin system will introduce a 3 tiered skin theme that changes your hero’s superficial appearance and the way the hero interacts in the game. You can unlock the 1st skin-tier using Vainglory’s ICE currency while the 2nd & 3rd can only be unlocked through the randomly generated in-game cards. But with the upcoming update, you will be able to purchase card packs which can allow you to unlock skin-tier 2 & 3 much faster. 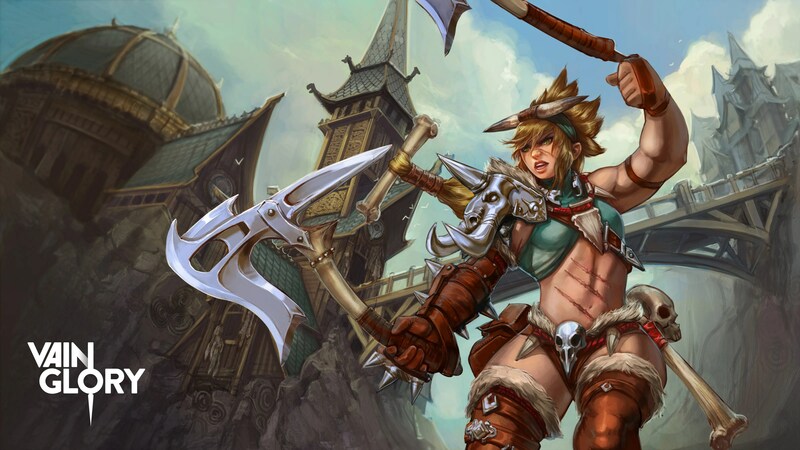 Third, the new hero is called Rona, a berserker that causes an immense amount of damage in one-on-one encounters. We are very satisfied with the constant introduction of heroes in Vainglory and we definitely foresee global championships taking place due to the continuous updates. Therefore, we advice that you master your heroes well and be ready for future events which will take place on a global scale. Fourth, we will see longer tutorial videos with this update and that is great. New players (noobs) will get to learn faster and this system will act as a training course for the uninitiated. Note: Android users can pre-register to receive a free Taka, the deadly assassin, for free by clicking here. Finally, along with all of these fantastic additions, the developers will have a 24 hours broadcast at twitch.tv/vainglory which begins on July 1 at 2 pm Pacific time & on July 2 at 10 pm UK time. We also want to mention that we strongly believe that the in-game chat mode will be incorporated in this new update, although we cannot confirm it for sure. Are you excited yet? Millions of IOS and Android gamers will be meeting each other on the Vainglory battlefield. Will there be cross-platform alliances or will it be a clash of operating systems? If you are interested in Vainglory news then you can subscribe to our website for instant notifications with every premium post added. You can check the trailer for this game below.